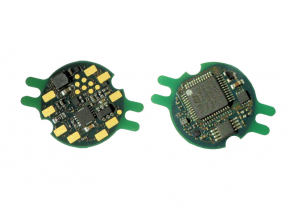 The measuring amplifier PCB GSV-13i with diameter 18mm is suitable for installation in sensors with strain gages, for example in force sensors, torque sensors, load cells. It has an auto-zero feature and an automatic scaling feature. He replaced the measuring amplifier GSV-13L with the same geometry diameter 18mm, which had no autoscale and autozero function. 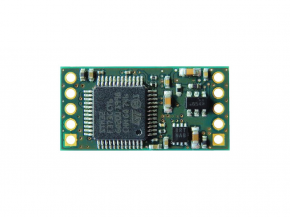 The measuring amplifier PCB GSV-13q is technically largely identical to the PCB GSV-13i, but in rectangular design with dimensions 11mm x 22mm.